Democrats can and should fight this nomination. Last night, Donald Trump announced that he was nominating Neil Gorsuch to fill Antonin Scalia’s seat on the Supreme Court. The nomination comes after Republican Senators refused to even hold a hearing on Merrick Garland, President Obama’s nominee to fill the position. 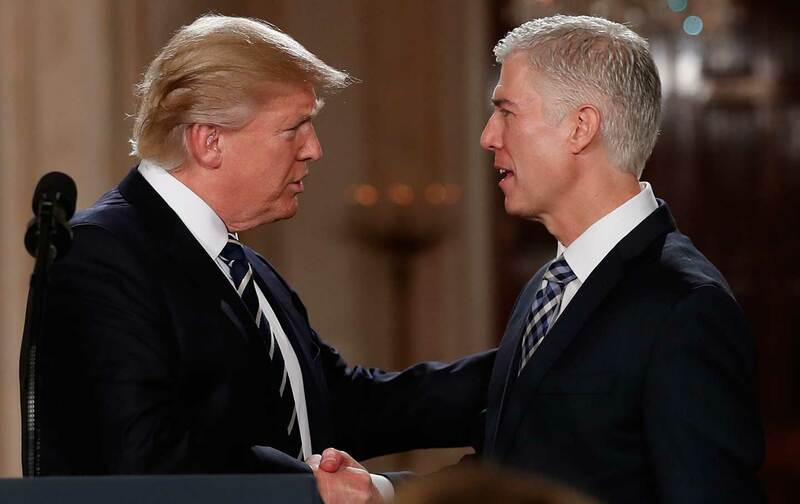 In its guide to the nominee, the Alliance for Justice (AFJ) calls Gorsuch a “far-right extremist.” Republicans stole this Supreme Court seat and now they are looking to fill it with a judge who, according to AFJ, has criticized those who used the courts to advance LGBT rights, has consistently sided with corporations over the rights of workers and consumers, and is hostile to women’s right to reproductive-health care. The massive protests and countless calls to Congress in the last week and a half are working; this week, Senate Democrats boycotted confirmation hearings for Tom Price and Steve Mnuchin. Meanwhile, the fight against Gorsuch began last night, when hundreds rallied outside the Supreme Court and across the country to oppose his nomination. Unlike Trump’s other appointments, Democrats can filibuster a Supreme Court nominee. Call your senators by using the Capitol switchboard at(202) 224-3121 or finding your senators’ direct numbers here, and demand that they block Gorsuch’s nomination. Then, use the form below to let us know how your call went and what else you might be planning to do to fight Trump’s Supreme Court pick. You can also sign up for The Nation’s Take Action list and we’ll be in touch with more ways you can fight Trump’s extreme agenda.